The Clippers on Sunday talked about the tough film session they had the day after they lost 96-88 at Moda Center on Saturday in Portland in their first-round playoff series with the Trail Blazers. But they both agreed it was a good thing, at the end of the day. 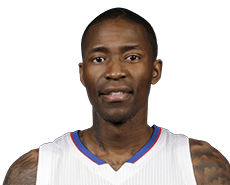 Jamal Crawford concurred at the morning shootaround ahead of Game 4 on Monday night at Moda Center. Is it tough to take? The Clippers, who lead the series 2-1, led 85-81 with 3:52 to play Saturday before being outscored 15-3. This entry was posted in Results and tagged Blake Griffin, Chris Paul, Jamal Crawford, Los Angeles Clippers, Portland Trail Blazers by Robert Morales. Bookmark the permalink.